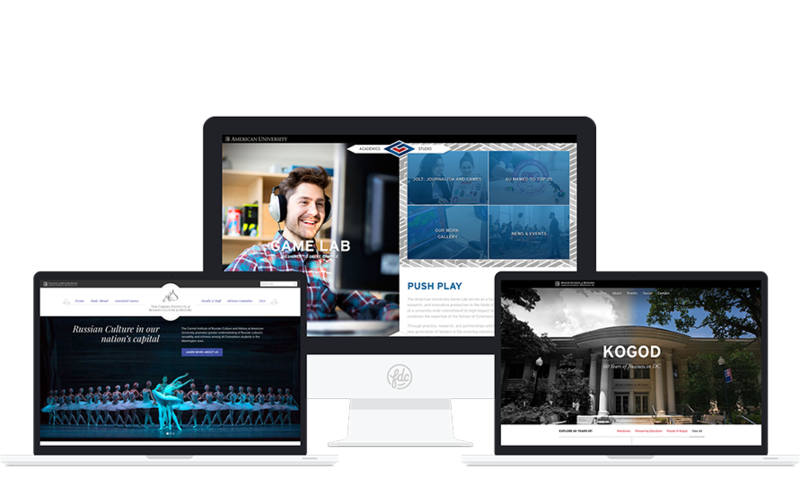 We collaborate with various American University schools and departments to design and build unique marketing materials, websites, and brands for niche audiences in the AU community. 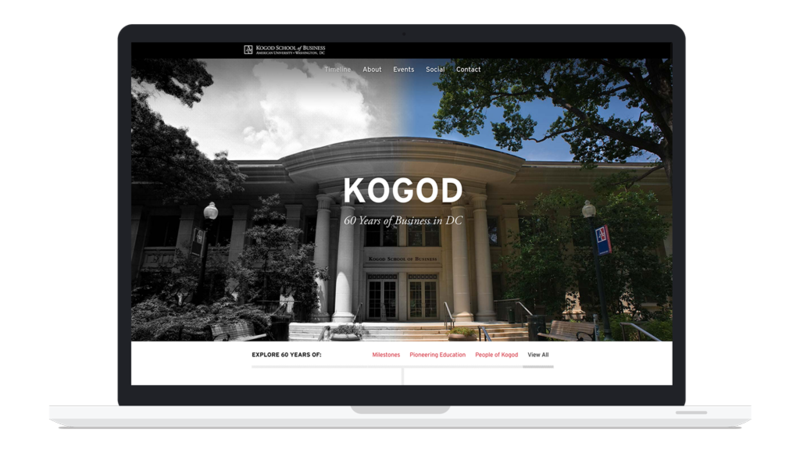 We helped AU launch their new GameLab, expand the Carmel Institute, and celebrate Kogod's 60th anniversary. 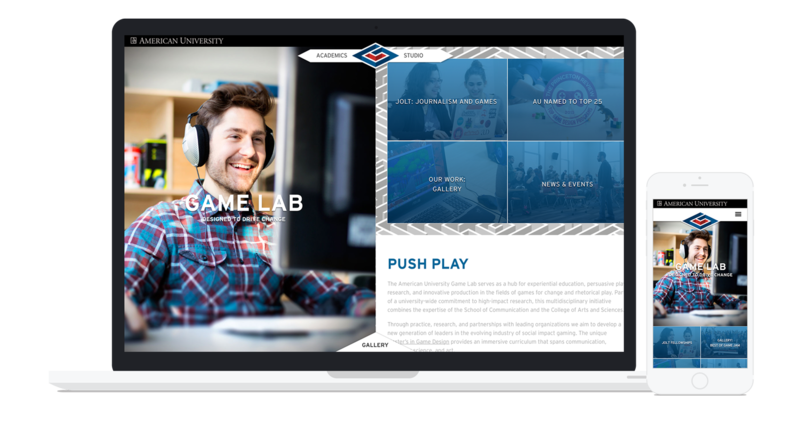 For the university’s GameLab, we created a fun and unique brand; we helped AU name the new endeavor and designed a maze-like logo that clearly reflects the organization’s dedication to innovation in gaming. 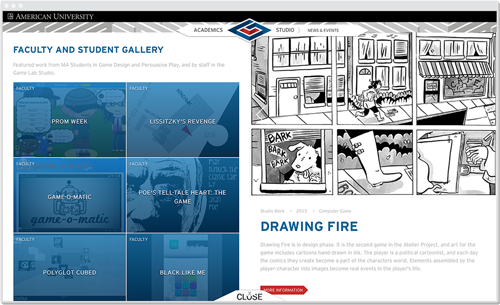 The GameLab is both an academic program and a game design agency, so we created a bifurcated website that mirrored the mechanics of video games. 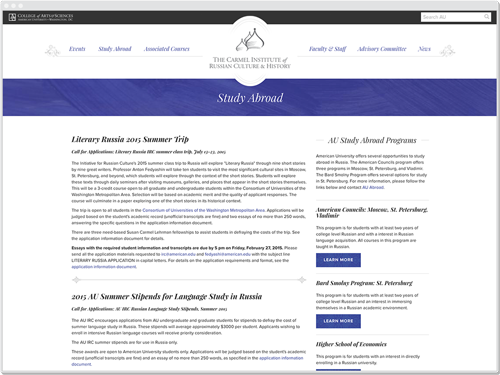 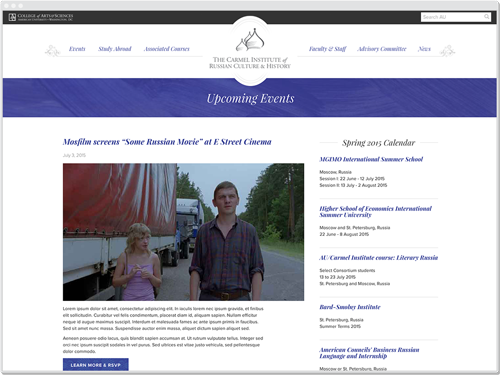 The Carmel Institute of Russian Culture and History is a unique venture at American University, one that encourages interest in Russian studies and culture through events and course offerings. 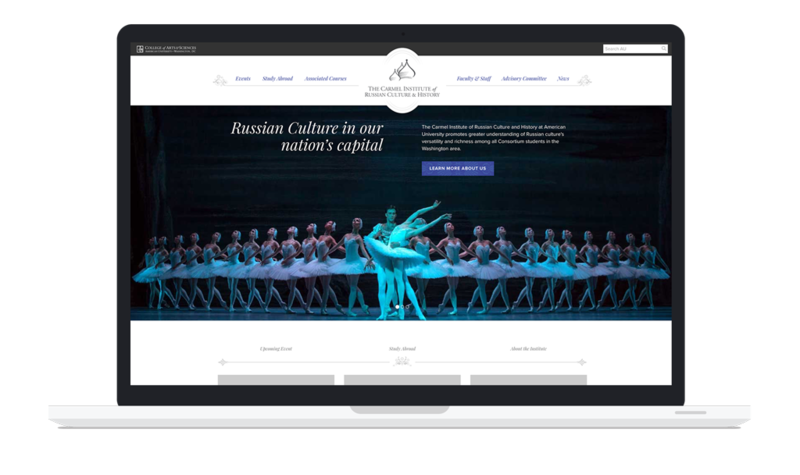 To help turn the initiative into a full-fledged institute and further establish the organization in DC, we created a rich visual experience that appealed to audience in the U.S. and Russia and encouraged attendance at their engaging events. 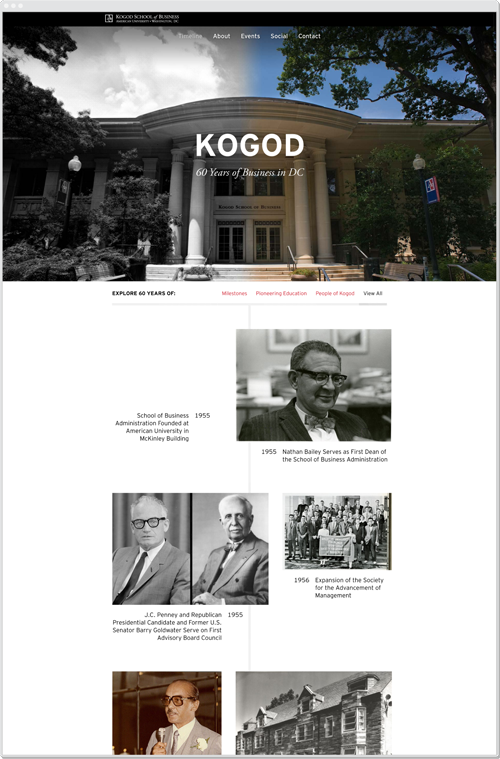 To celebrate Kogod’s 60th anniversary, we created a captivating website that visualizes their history and invites visitors to explore the school’s important milestones. 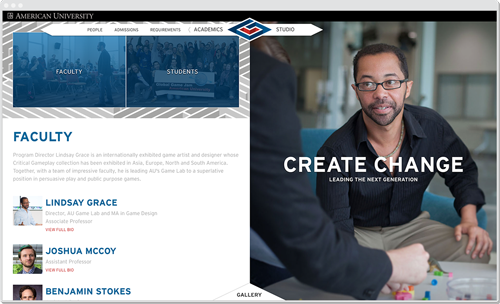 The site encouraged alumni and community members to join the celebration, attend events, and share their own experiences.